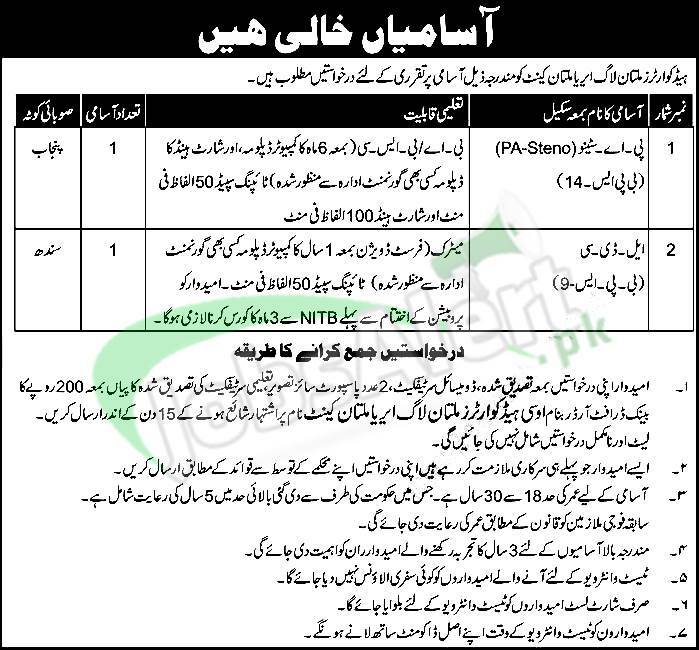 Here you'll get Headquarter Multan Logistics Area Jobs 2019 Latest Pak Army Advertisement announced for the Punjab and Sindh Domiciled candidates. Jobs in Headquarter Multan Logistics Area to apply are (PA-Stenotypist and LDC) and appointment will be held on permanent basis. Candidates willing to apply should possess qualification from Graduation to Matric with relevant skills to apply and the last date to apply is 02nd February 2019.